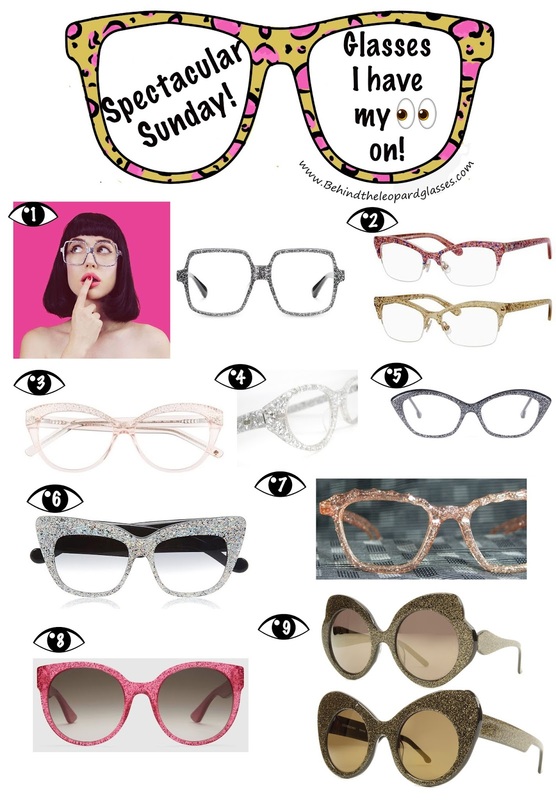 behind the leopard glasses: Spectacular Sunday: GLITTER GLASSES! I think I prefer "Multi", naturally. These have been on my wishlist for a while now! 6. Anna-Karin Karlsson "Alice Goes to Cannes cat eye glittered-acetate sunglasses"